Welcome to Hi Tech Engineers, Manufacturer and Exporter of Automobile Parts and Components. The company was established in 2006 at Mumbai. Our products are applicable in Mining and Sugar Industry and we export to UAE, Oman, Saudi Arabia and Brazil. Innovative business ideas, Easy modes of payment and Affordable market prices are the factors that help us to stay ahead of our competitors. We offer a wide assortment of Hydraulic Tubes, Flexible and Starflex Couplings. Ball Screws, Hard Chrome and Linear Shafts offered by us are extremely reliable. Our Lead Screws, LM Bushing and Housing Bearing are well known for their durability. We also provide LMH Linear Bearing, Linear Guideway and Hydraulic Cylinders that are well known for their impeccable performance. 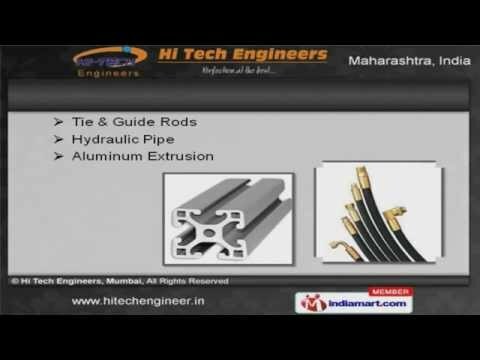 Along with that we offer Hydraulic Pipe, Aluminum Extrusion, Tie and Guide Rods that are setting a benchmark in the market. We are one of the trusted names of the industry engaged in offering genuine quality Honed Hydraulic Tubes for Steel and Ball Screws for Automobile Industry.